Client Resource Generator is a tool that allows a person or business to automate the dissemination of tailored information to specific types of clients. A flow chart is created by the person or business to represent the typical questions a client is asked. Each question either gathers information or leads to a specific type of output. Each path on the flow chart leads to an output that the person or business configures to have the type of information needed for that client type. 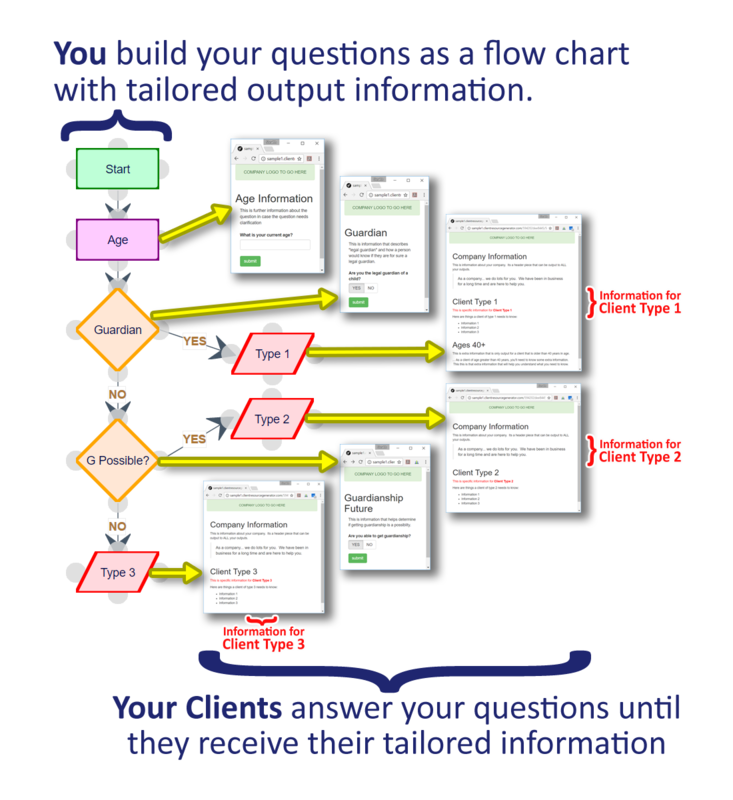 The client, does not see the flow chart, but instead is presented with the questions via a website where each question is asked via an individual web page. The client is moved along the flow chart based upon their answers until the arrive at an output which presents the information they need.